Let me start off by saying that while rubber batting tees are significantly cheaper than metal “pro style” tees, when possible, I highly recommend going with a more durable “pro style” tee. The rubber batting tees simply do not hold up as well as the pro style tees. With that said, I still felt it was necessary to include at least one selection that was the rubberized style of tee, since they are still a very popular choice for parents of beginners and tee ball coaches. If you prefer rubber tees, or are on a tight budget, the Schutt Batting Tee is the best choice for you. Amazon has included this tee on their “Amazon’s Choice” list, which includes products with high ratings, good prices, and immediate availability to ship. Pros: Regulation home plate can be removed for separate use. Best reviews of any rubber tee online. Extremely affordable. Cons: Stem replacement is hard to find. May need to replace entire tee if stem breaks. Stem may begin to bend after heavy use. Another Amazon’s Choice, the Cage Pro Classic features the patent pending FeatherTop ball perch. This feature allows the rubber ball cone to flex when it is hit, removing the typical stress points of other “pro style” tees. The design creates one of the softest and smoothest hitting experiences of any tee. Removing the stress points also adds additional durability to the already durable “pro style” tee. The base is made of an 8.4 lb weight which holds the tee in place during use. With the FeatherTop ball perch and the weighted base you will rarely need to move or adjust the tee once you put it in place. No more knocking the tee over after every swing! Pros: Flexible cone feature provides a smooth feel when hitting. Built in weighted base. One of the most positively reviewed tees on the market. Cons: Cost is slightly higher than other pro style tees. As a former professional player and longtime hitting instructor, my biggest frustration and complaint about batting tees is that they never offer complete strike zone coverage. Most original tee models do not go low enough to reach knee height on an adult, let alone a youth hitter. The New Jugs Tee Combo solves this problem. The tee comes with a base, one standard stem, and a short stem. Hitters can easily change between the stems to work on higher or lower locations. Jugs also offers a 1 year guarantee on this tee. Pros: Solves the biggest problem with most batting tees, giving hitters the ability to work on covering both the bottom and top of the strike zone with a single tee. Excellent quality, with 1 year guarantee. Cons: With two different stem attachments, portability is not as easy as other selections. Easily the most popular tee among serious baseball players, as well as the most popular tee on Amazon (also made the Amazon’s Choice list). Tanner Tees were the original “pro style” tee. You’ll find the Tanner Tee in almost every professional and college baseball team’s hitting tunnel. They’re made in the USA, and built to last. I’ve personally seen these tees take a serious beating and continue to hold up for years. My personal Tanner Tee is 5 years old and still kicking. I’d estimate that over that time period it has been used for over 2,500 hitting lessons, and it continues to perform the same as it did brand new. Tanner Tees are backed by a one year product guarantee. Pros: Durability, and quality are unmatched. Many accessories and options available. Made in USA. 1-year product guarantee. Cons: The original model alone does not allow you to set the ball up as low as some of the other tees on our list. *Note: While the original model does not go to the bottom of the strike zone on most hitters, you can purchase a separate shorter stem to achieve that feat for $55. When purchased with an original Tanner Tee, the combo price is actually slightly less than the Jugs version above. 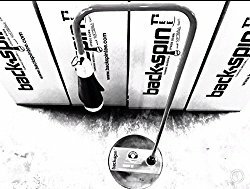 The Backspin Tee is a revolutionary product. In fact, it’s such a game changer that it won the Bronze Medal for Outdoor Sports & Recreation in the 2016 Edison Awards. Unlike traditional tees, the ball is placed into a cone that is hanging upside down. So the hitter sees the bottom half of the ball instead of the top half. While the Backspin Tee is double, and in some cases, triple the cost of our other selections, it’s worth the price tag. Studies have shown that the Backspin Tee actually increases the rate of line drives that users hit, when compared to using a traditional tee. 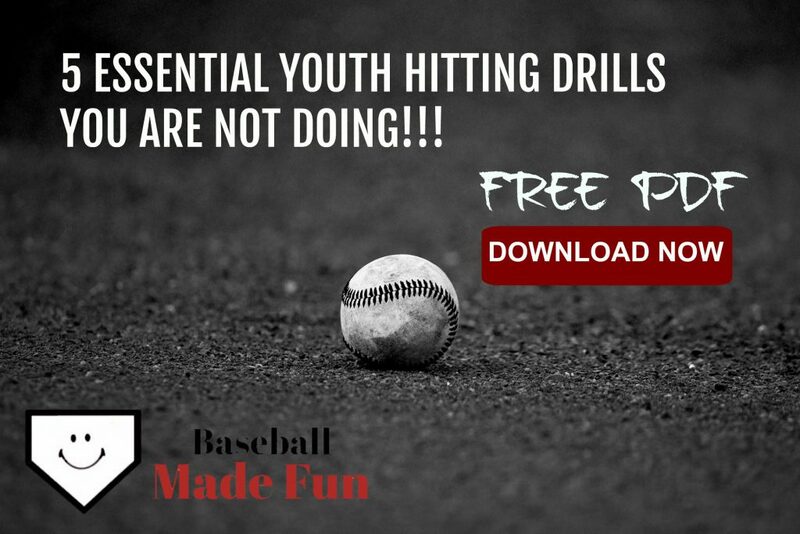 So, if you’re serious about your or your child’s development as a hitter, then this is the tee for you! Pros: The only tee available that has been proven to promote hitting line drives. Several models to choose from to match your needs. Cons: It can take a while for a new user to get used to placing the ball inside the inverted cone. Price is significantly higher than our other selections. After you find the right batting tee, check out our post ranking the Top 5 Best Baseball Hitting Training Aids and scoop one of those great products up today! The backspin tee is quite interesting. My Dad bought me just about every year there was when I was playing ball back in the day and we never could get a tee that would last! Especially the ones with the moving parts. I feel like the moving tees are better for training so great recommendation! Thanks for your comment Tony. Yes, having to buy a new tee every year is quite common. Why not spend more once and get not have to worry about it again, right?! I vaguely remember playing T-ball as a kid and we never had anything this technologically advanced. I am a little jealous. We would swing and often times knock over the entire tee. With these models, the ball would move better off the tee making it more difficult for the fielders. This is a GOOD thing, because it will prepare the kids for fielding when a pitcher is introduced. Usually, this is the next season. I particularly like the prices. Even the most expensive tee, as it is durable, is not a big price to pay. Perhaps the league should buy them and incorporate them into the cost of the parents? Thanks for the comment Ernest. Yes, most leagues incorporate the cost of tees into the fees. I think in the long run they would save money by purchasing some of the more durable, high quality tees on this list. Most leagues, that I see at least, are still using the same rubber tees like you and I used as a kid. These are great reviews of various tees. My nephews are getting into baseball and my have the products changed since I was a kid learning. These will help me really narrow down what is the best tee to get them and make sure I am the cool aunt but also setting them up to really learn the fundamentals. I’m from the UK so baseball isn’t really played over here but my eldest son has recently started watching it on satellite TV and wants me to get him all the equipment so he can teach his friends how to play the game. Is a batting tee an essential piece of baseball training equipment and what else would you recommend for me to buy him to start practicing? Hi Matthew. I’m glad to hear that your son has had shown an interest in the game of baseball. It’s a fantastic sport. Hopefully it will continue to gain popularity in the UK! The tee is essential if he plans on practicing by himself. If you don’t have a partner to throw the ball to you, then you need a tee to for batting practice. Other essentials include baseballs, a bat, and a glove. If he has those 3 things, he can practice just about any aspect of the game.